Kinnick has a home! 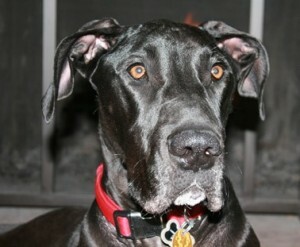 - Rocky Mountain Great Dane Rescue, Inc.
Kinnick has a home with Brendan & Danielle in Colorado Springs, CO. This family has no other pets and no children. They came to RMGDRI with hopes of finding the perfect rescue Dane to add to their family. They found it!! With Kinnick!! After speaking with her foster home, both Brendan & Danielle are prepared to continue Kinnick’s care. They look forward to giving Kinnick all their undivided attention. Way to go, Kinnick! !